Rising home prices, demand from home buyers, less competition, and low interest rates are making 2015 a stellar year to sell for many home owners across the country, and especially in our hot Seattle market. 1. Strong demand from buyers. Millenials and first time buyers are out in force, driven by our growing job market and low interest rates. Those who lost homes to foreclosure or short sale during the downturn are returning to the market as well. 2. Prices are skyrocketing. So far in 2015, appreciation is at its highest rate since 2007. City-wide for Seattle, prices have appreciated 12% from June 2014 to June 2015, with some neighborhoods much higher. 3. Sellers have less competition. Inventory continues to be extremely tight, with less than a months inventory in most Seattle neighborhoods. The number of buyers far outweigh the number the sellers. 4. Interest rates are increasing. Although rates continue to be extremely low (hovering around 4%), just a couple weeks ago we saw rates closing in on 4.5%. Experts around the country are continuing to predict that we’ll see rates around 5% by early 2016. As rates increase, buying power decreases. To learn more about selling your home, contact me at (206) 790-0081 or jamie@jamieflaxman.com. You can also download some information on selling here. 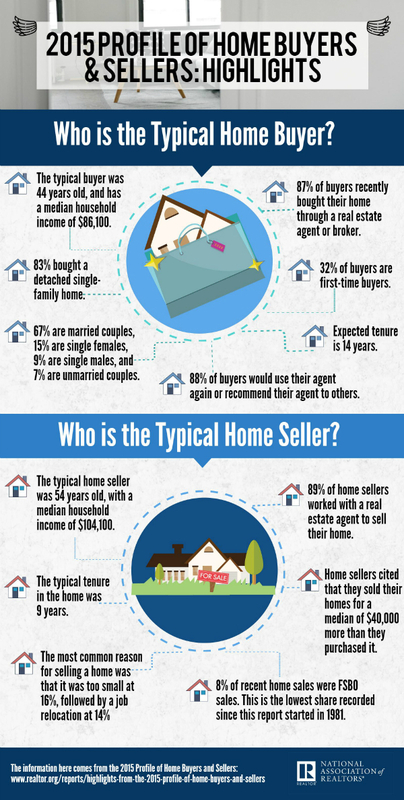 Information for this post adapted from http://realtormag.realtor.org/daily-news/2015/07/24/3-reasons-why-its-great-time-for-sellers#sf11309959. The Puget Sound housing market picked up in May with greater inventory, but demand is still very high. Most new listings are receiving multiple offers with many significantly escalating above list price. The chart above shows activity in the city of Seattle for single family homes and condos combined. The number of homes for sale increased 14.3% over April, but the level was slightly below that of a year ago. The number of sales closing was up 4.4% over April but down 12% from a year ago. While less homes are selling, prices are up over last year. Combined single family homes and condos in Seattle are up 4.4% over a year ago. On average homes sold at 100% of list price. Inventory remains extremely low, at 1.4 months worth in May. That is, if no homes came on the market, the current inventory would be gone in about 6 weeks. In May last year that inventory was at 1.2 months. However, when you look at specific neighborhoods, the numbers can be dramatically different. For example, Wallingford, a high demand neighborhood. Prices on sold homes and condos were up 8.2% from a year ago, with an average sales price of $620,000. Homes in Wallingford average a sales price of 105% of listing price. And inventory in Wallingford was at 0.7 months in May, approximately 3 weeks worth. For further information, please give me a call or email. I’m happy to provide you with a market update for your neighborhood or city.